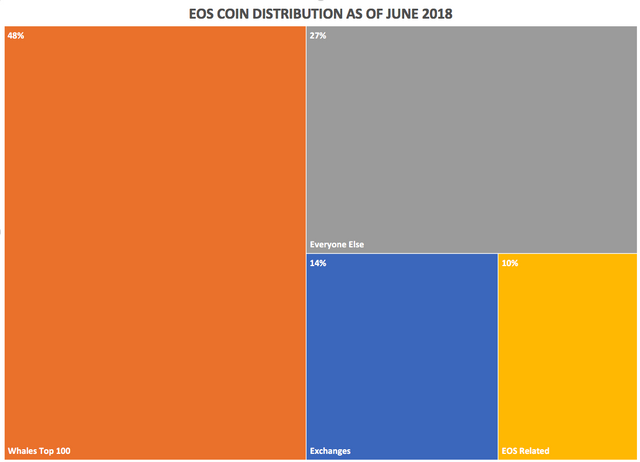 Back two months ago I did a study on the top 100 EOS wallet holders. Also, here was an article I wrote for a comparison to other coins to get a perspective on different distributions. I did a little more digging using these two site tools. We should require that all exchange have to name their wallets after their exchange name for transparency. Everything in orange is EOS related like BlockOne, Unregistered EOS and eosio.saving whatever that is I have no idea? Everything in yellow are Whales that have multiple wallets that are related and in the top 100. Also, I created a column for whales that have voted. if they voted for only 1 BP then I list the BP otherwise I put the number of BPs they voted for. Here is a list of how many top 100 whale votes each BP received. 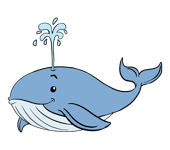 zbeosbp11111 received the most whale votes but is only 8 on the current BP list. stateosiobp and eosbixinboot both received 8 whale votes but didn't break into the top 21. Moral of the story Your VOTE counts! So VOTE!!! 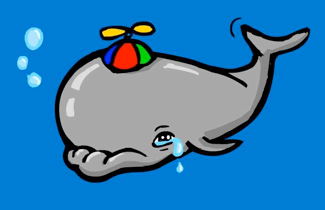 "Whales don't always get their way"
However, if you want to be in the top 21 as a BP you need at minimum 1 Whale vote. eosgenblockp is ranked 16th but only received one Whale vote. tks for your studying. need time to digest. Once the voting can be improved. the situation will be better. Most of us dont want to release private key for voting..
who is this jedaaaaa ranked 3rd with just 2 votes? any way to check who voted for jedaaaaaa and if those 2 whales voted for more BPc? that's a great question. I'm not sure? Maybe I'll include this part in my post, which I periodically compile on the basis of studying blogs.